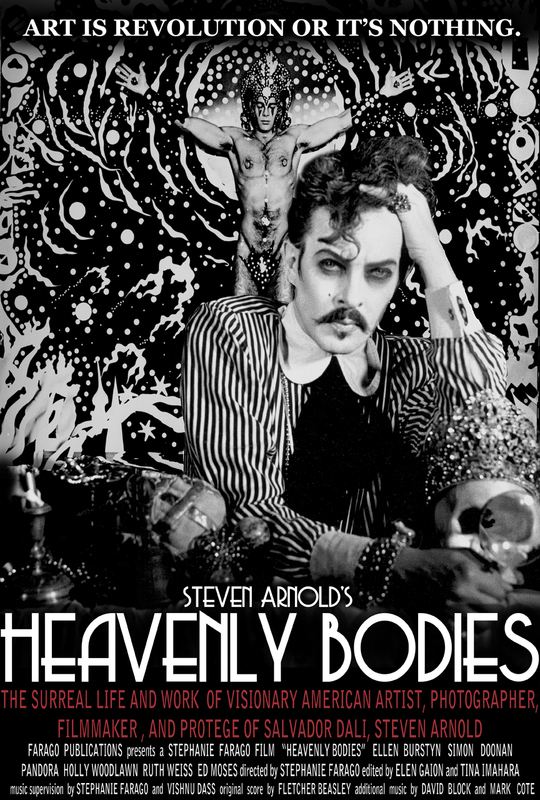 A poster for the upcoming documentary Heavenly Bodies, chronicling the surreal life and times of visionary American artist Steven Arnold. EXHIBITION CLOSING RECEPTION TO FOLLOW AT THE ONE GALLERY. Please join us at the West Hollywood Library for a screening of Steven Arnold’s Messages Messages (1968) followed by a preview screening of the new documentary Steven Arnold’s Heavenly Bodies and a closing reception for the exhibition Steven Arnold: Cabinet of Curiosities at the ONE Archives Gallery & Museum. Produced with collaborator Michael Wiese, Messages, Messages was Arnold’s third short film for which he and Weise were invited to the Directors Fortnight at the Cannes Film Festival. 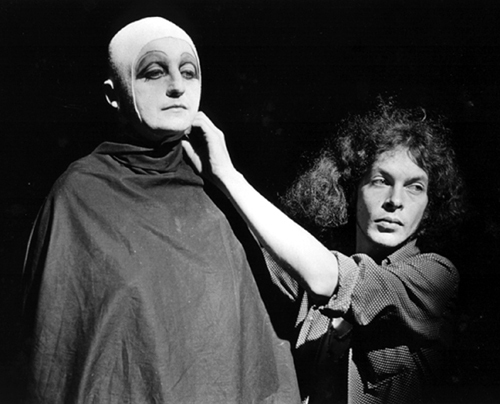 Weise described Messages, Messages as, “a journey of the psyche into the world of the unconscious, influenced by Dali, Buñuel, and the German expressionists.” Steven Arnold’s Heavenly Bodies is a new documentary about the artist produced by artist and filmmaker Stephanie Farago, Creative Director of the Steven Arnold Archive. This special preview screening will include a Q&A with the director. The West Hollywood Community Room is located next to the library’s main entrance. Following the screening, please join us at the the ONE Archives Gallery and Museum, locating just next door to the library on El Tovar Place, for a closing reception for Steven Arnold: Cabinet of Curiosities. Steven Arnold: Cabinet of Curiosities is on view at the ONE Archives Gallery & Museum October 27, 2012 through January 13, 2013. More information here.